WestJet has responded to the recent Flair Airlines (formerly New Leaf) expansion into the major Canadian airports by dropping the price of their flights from Vancouver to Edmonton down to $174 CAD roundtrip including taxes. This is actually undercutting Flair Airline's current Vancouver - Edmonton prices by about 25%. Meanwhile, Air Canada is still showing $300+ CAD roundtrip for their cheapest flights on this route. Vice-versa trips (Edmonton to Vancouver) are also available for $174 CAD roundtrip on WestJet. 2. Select your flights and click through from Google Flights to the WestJet website. vancouver, yvr, flight deals, westjet, canada, alberta, north america, edmonton and yeg. 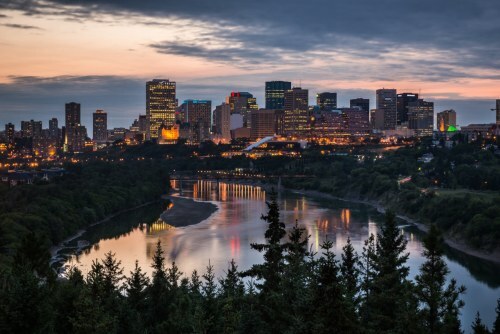 5 Responses to "Vancouver to Edmonton (or vice versa) - $174 CAD roundtrip including taxes | WestJet"
I'm only seeing $238 round trip flights now. I cannot see this deal, is it gone? My daughters are flying in Nov. 10 to 13th for my wedding from edmonton but I can't see the deal any longer? Am I doing it wrong? Unfortunately this one is gone. It wouldn't be surprising to see it again, as WestJet looks to compete with Flair Air who recently started offering fares on this route.